A high-quality music education should engage and inspire pupils to develop a love of music and their talent as musicians, and so increase their self-confidence, creativity and sense of achievement. September 2014 saw the implementation within maintained schools of the new National Curriculum in England. Music as a compulsory subject is expected to be taught to and experienced by all children in Key Stages 1, Key Stage 2 and Key Stage 3. 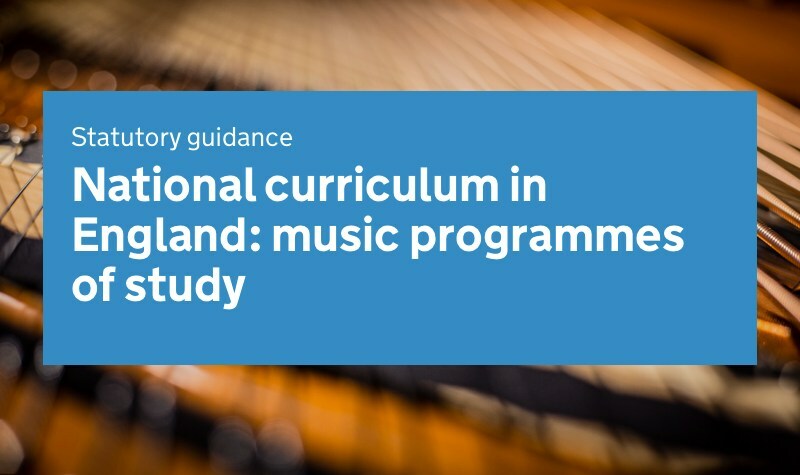 The programmes of study set out the minimum requirements for music as a starting point for schools developing innovative provision to meet the needs of their pupils. If taught well, music has the potential to make a significant contribution to children’s development: increasing confidence and self-esteem, developing leadership, team working, concentration and problem-solving skills, and developing identity and improving social cohesion within the school and wider community.